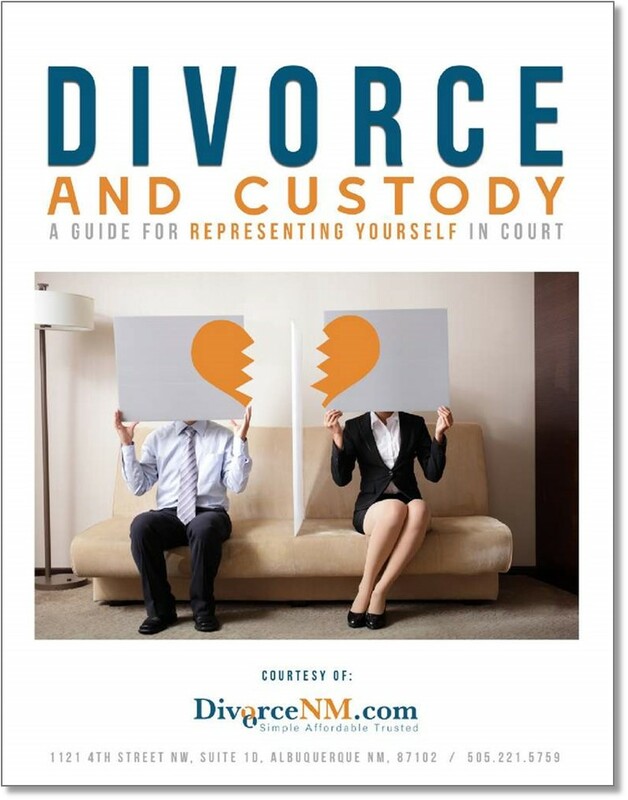 This Guide (with over 70 pages of valuable content) will help you through your New Mexico divorce or custody case by providing general information about the process, what to expect, and tips for to help as you prepare for your day in court. The courthouse can be an intimidating and confusing place. The goal of this Guide is to help you through your divorce or custody case by providing general information about the process, what to expect, and tips to help as you prepare for your day in court. This Guide discusses recommendations for improving communication with the other party as you decide child custody and timesharing arrangements, division of property assets, or create a marital settlement agreement. You have the power to take control of your divorce or custody case, and this Guide will help you through that process. To download the “New Mexico Divorce and Custody: A Guide for Representing Yourself in Court,” please provide your name and e-mail address, and click-on the “Download Now” button. You will be redirected to a page where you can download the Guide. When you download the Guide, you will be provided with an opportunity to schedule a free consultation with a lawyer who understands New Mexico Family Law. If you have any questions, please contact us at info@divorcenm.com.